Composting Ratio: Carbon To Nitrogen - What's the Right Number? 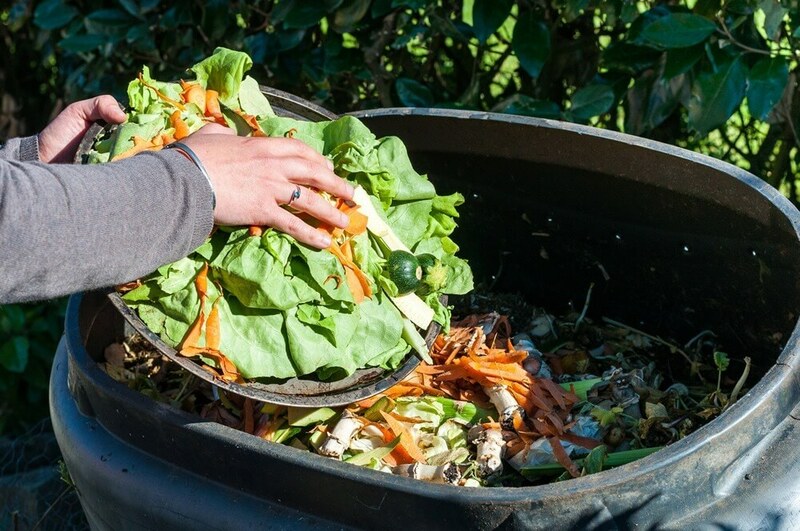 →Composting Ratio: What’s the Right Number? Composting Ratio: What’s the Right Number? All compostable matter is classified as either carbon- or nitrogen-rich ingredients. The secret to producing high quality compost is to maintain the right proportion of carbon and nitrogen materials. An imbalance between these two elements often leads to a smelly compost pile and a slower composting process. Therefore, it is important that you know how to keep these two elements in perfect proportion. Organic substances are composed of more carbon than nitrogen. The fair proportion between these two components is called the carbon-to-nitrogen ratio or C:N ratio. For optimal performance, the beneficial microbes need the right ratio of carbon for vitality and nitrogen for protein generation. Ideally, the estimated C:N ratio for composting is between 25:1 and 30:1 portions of carbon and nitrogen for a faster composting process. To help you produce a healthy, rich humus, we’ll help you determine which ingredients to combine together in the right proportions. Carbon-rich or brown materials contribute to the lightness and fluffiness of the compost’s texture. Nitrogen-rich or green materials offer basic materials that create enzymes. Table 1 shows the estimated C:N ratio for some common brown materials. Table 2 shows the estimated C:N ratio for some basic green materials often added to compost tumblers. Brown materials have high carbon content. They tend to decompose slowly. Carbon is a basic component for energy and development. As shown in Table 1, most brown materials have high C:N ratios. The substantial amount of brown materials promotes better airflow and nurtures the beneficial microbes that reside in the compost pile. However, using too much carbon material can slow down the composting process, so they should be neutralized by putting more garden clippings or manure in the compost pile. Green materials have high nitrogen contents. They break down faster and offer protein to the beneficial microbes involved in the decomposition process. The nitrogen component is vital for the cell function of proteins and enzymes. As shown in Table 2, most green materials have low C:N ratios. A high volume of nitrogen-rich materials often lead to a smelly compost pile. Nitrogen-rich materials should be neutralized by adding more brown materials, like dry leaves, wood chips, or newspaper. Other gardeners choose to load an excess amount of green materials in the compost pile to ensure the there is an adequate amount of nitrogen to keep the pile warm. Beneficial microbes that decompose the compost pile require 30 portions of carbon for every one portion of nitrogen. This represents a balanced consumption for these microbes. Excess nitrogen turns to ammonia gas when they are not used by the microbes. In the presence of adequate nitrogen content, not more than 35 percent of the carbon in the compost pile will be transformed into nutrient-rich soil. More than 65 percent of the carbon in the compost pile will be transformed into carbon dioxide as a byproduct of microbial respiration. 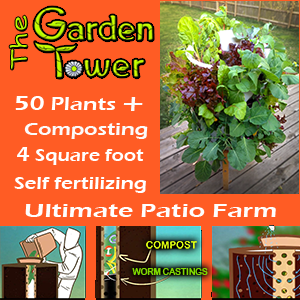 The nutrient-rich soil generated from the composting process will consist in a 10:1 C:N ratio. The majority of fresh plant ingredients have a 40 percent carbon content. The differences in nitrogen composition contributes to the variances in the C:N ratio. All microorganisms need moisture. In the compost pile, the recommended moisture level is 40 to 60 percent. The speed of decomposition slows down once the moisture level reaches 35 to 40 percent. If the moisture drops below 30 percent, then the decomposition process will be halted. If this happens, it will turn into a warm shelter for rodents and other animals. If the composting materials are too dry, this can be easily remedied by putting more green materials into the compost pile. The addition of too much green materials, like food scraps, into the compost pile increases the likelihood of a moisture issue. If the compost pile is too wet, oxygen may not be able to flow through the wet clumps. This results in the activation of anaerobic microbes which are the main culprits for a smelly environment. The recommended maximum moisture level is between 55 and 60 percent. Anything above this rate results in a wet compost pile. If this happen, you can absorb the moisture by adding more brown materials. As additional carbon-rich materials are loaded in the chamber, you should turn the pile for better oxygen penetration. The flow of oxygen encourages aerobic decomposition. If the C:N ratio is off and you can’t get it to balance, you can empty the tumbler and refill it with a mix of the wet pile and fresh carbon materials. Adding carbon-rich materials with high C:N ratios, like sawdust and wood chips, is recommended if this happens. When the C:N ratio reaches the ideal range, it is advisable to add water, especially in the hotter summer months. This is to replenish the loss of moisture in the compost pile due to heat evaporation. In the case of a lack of oxygen, brown materials, like wood chips, are a good way to promote better airflow. If you use wood chips, it is best to wet them before loading them into the compost tumbler because they don’t absorb liquid in the same way as leaves. Shredded leaves can also be added together with the wood chips to support moisture retention in the composter. Hollow materials, like paper towel or toilet paper roll tubes and crumpled paper, can serve as good air pockets.